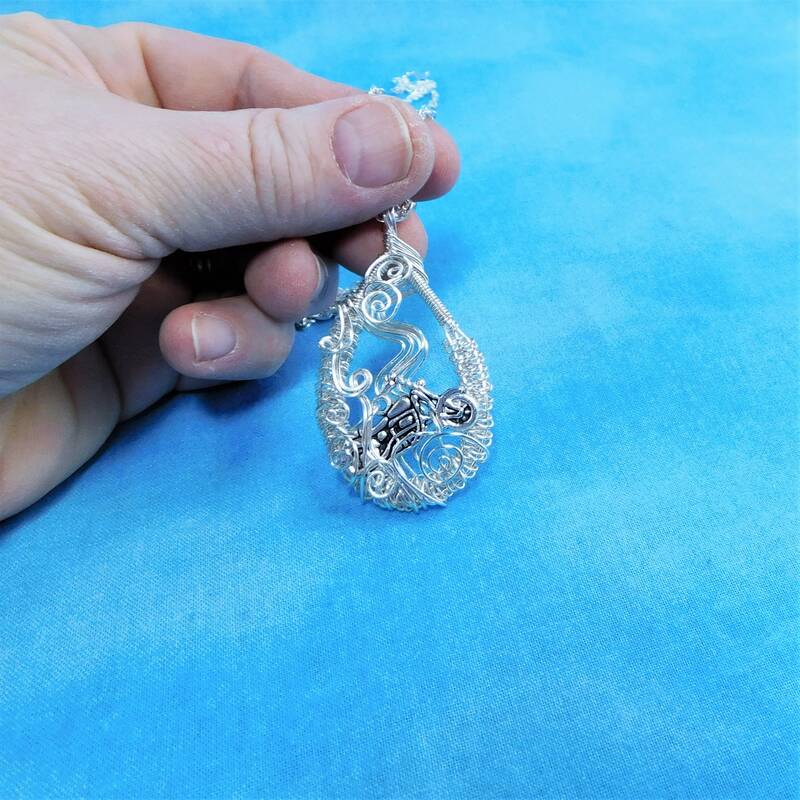 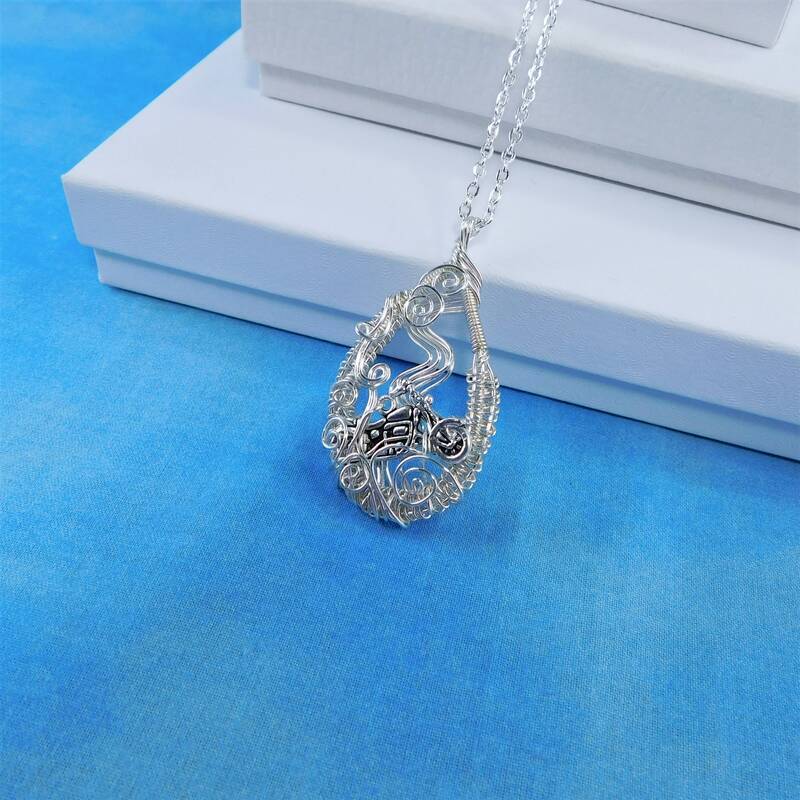 A silver metal motorcycle occupies the center of this oval shaped woven wire frame for an interesting and unique pendant. 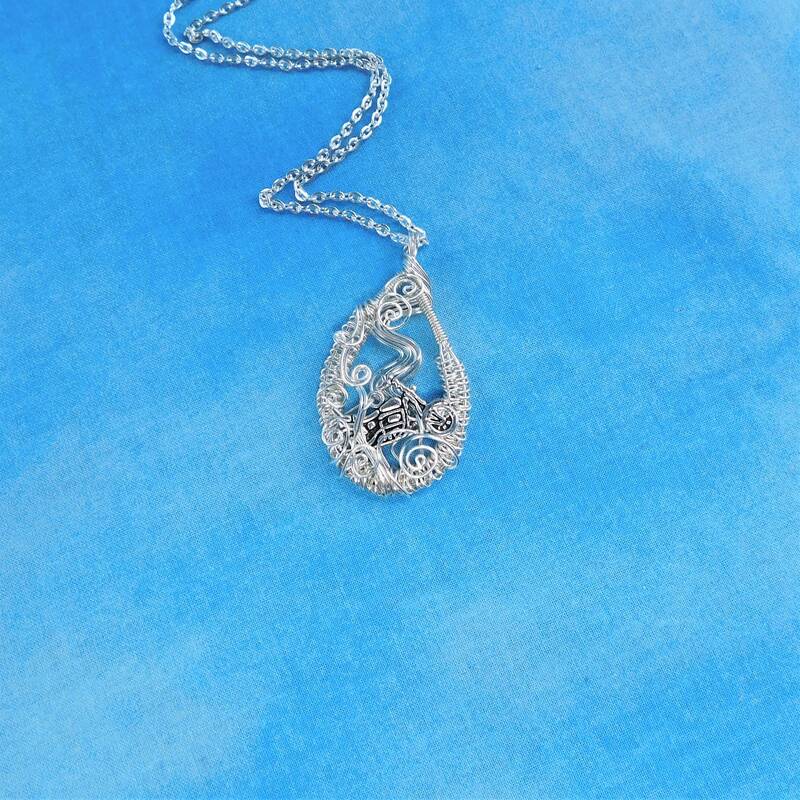 It is a small conversation piece that would delight that biker chick that rides the road with you. 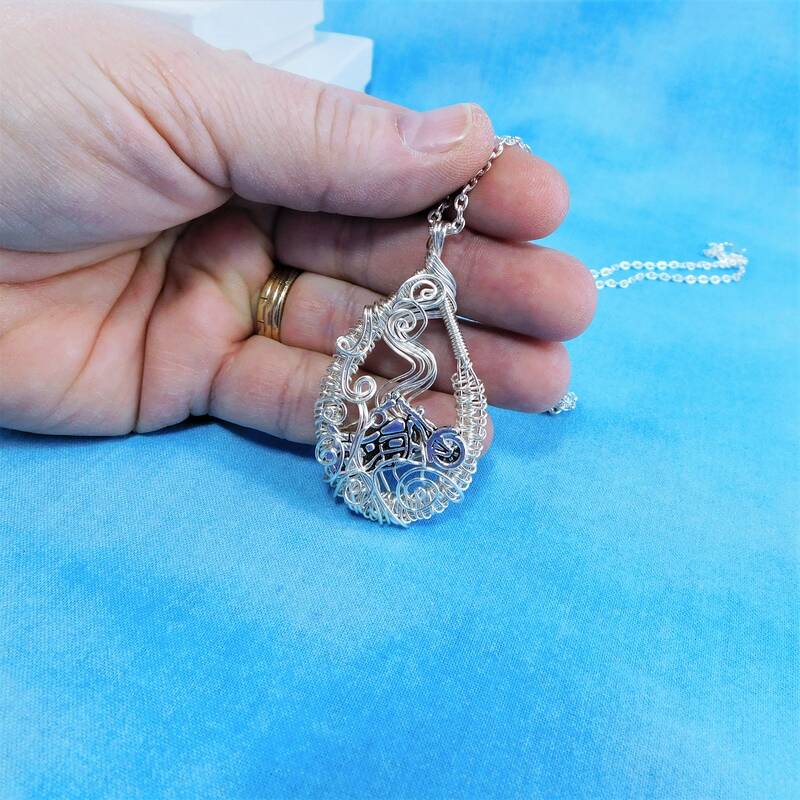 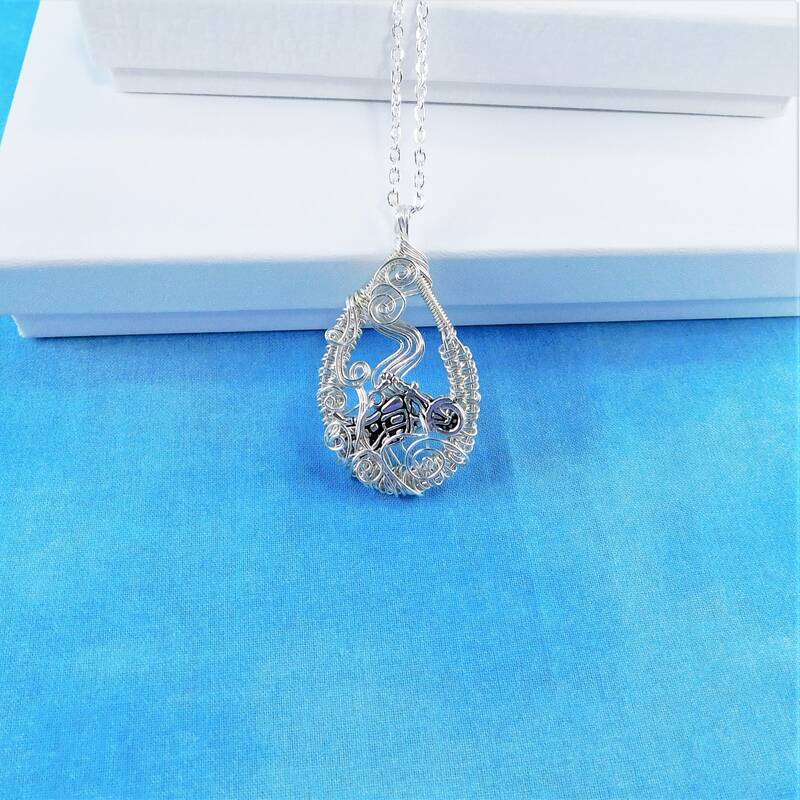 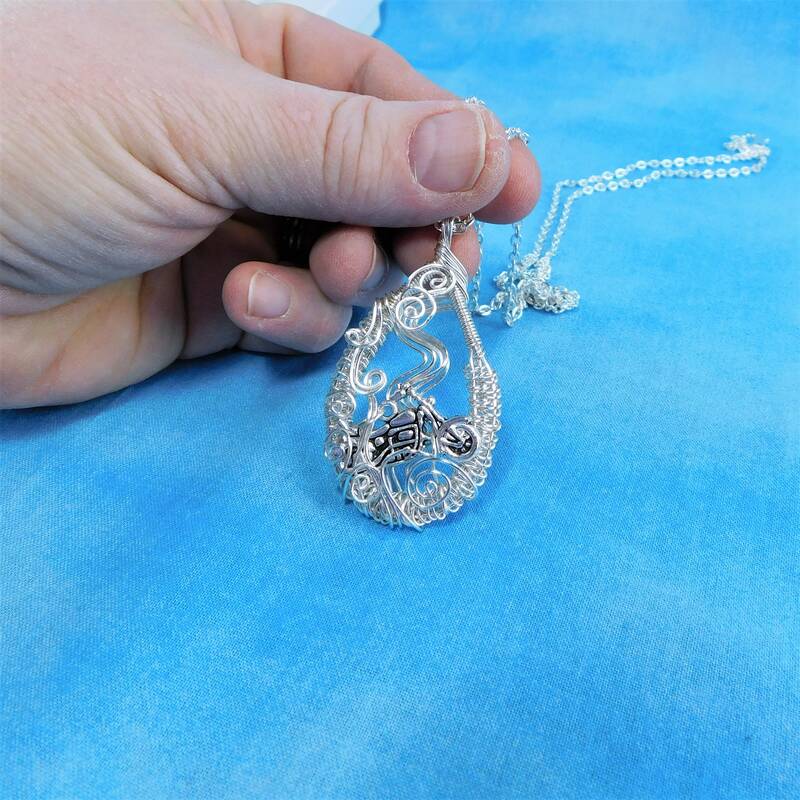 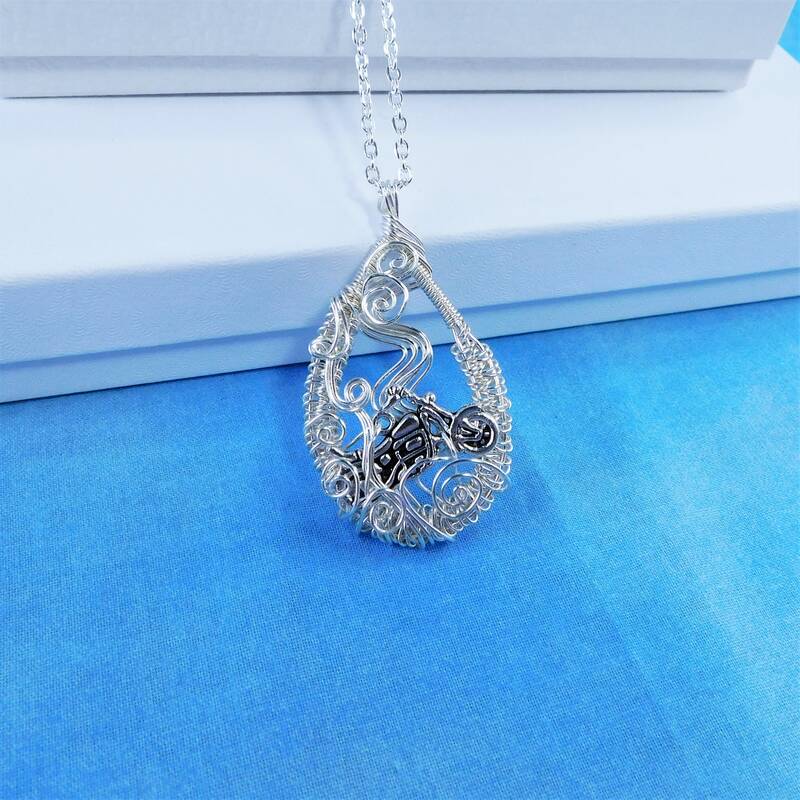 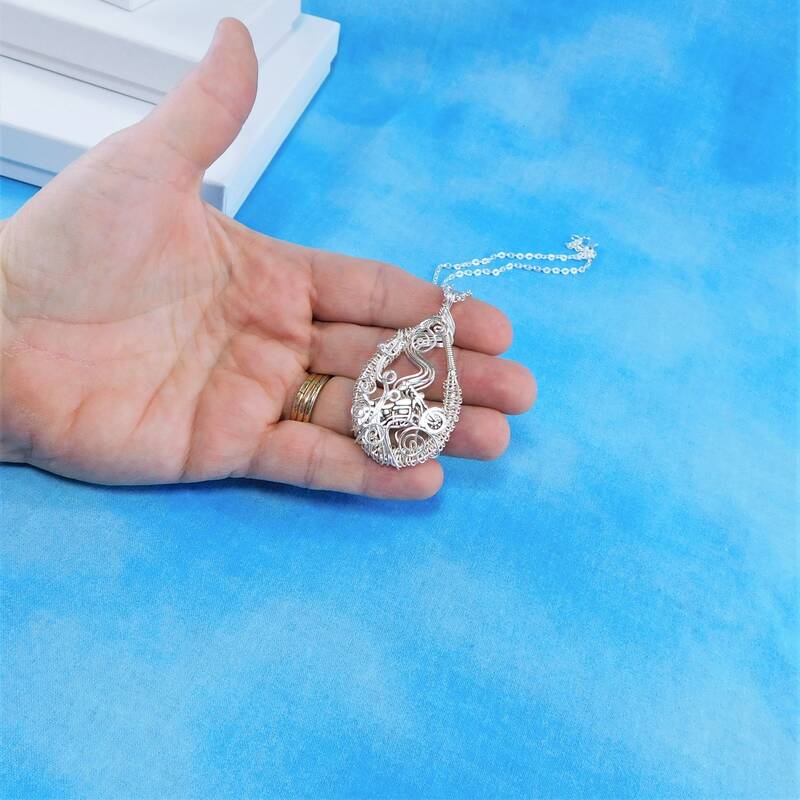 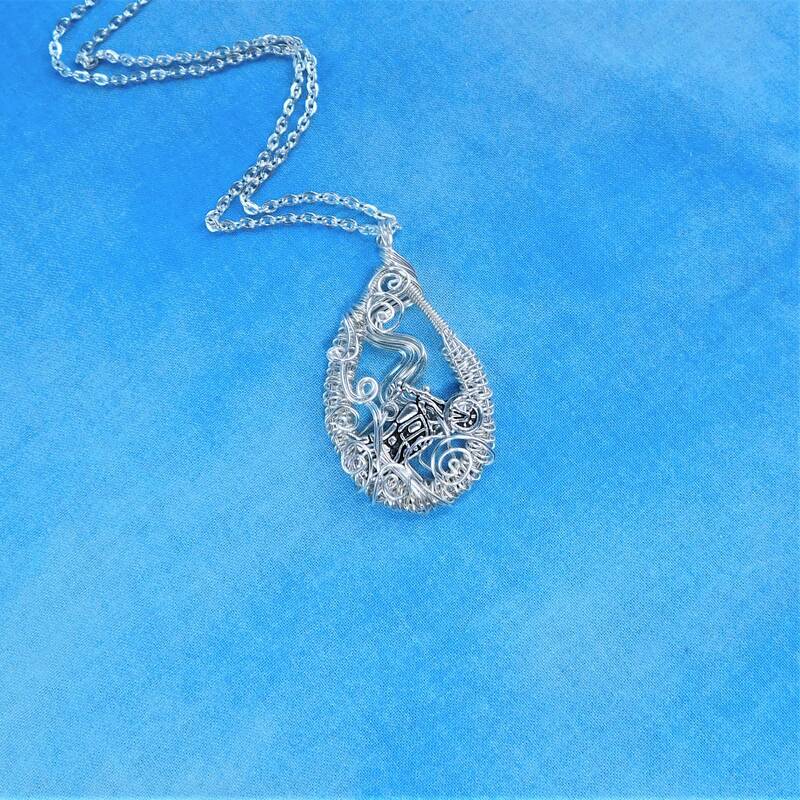 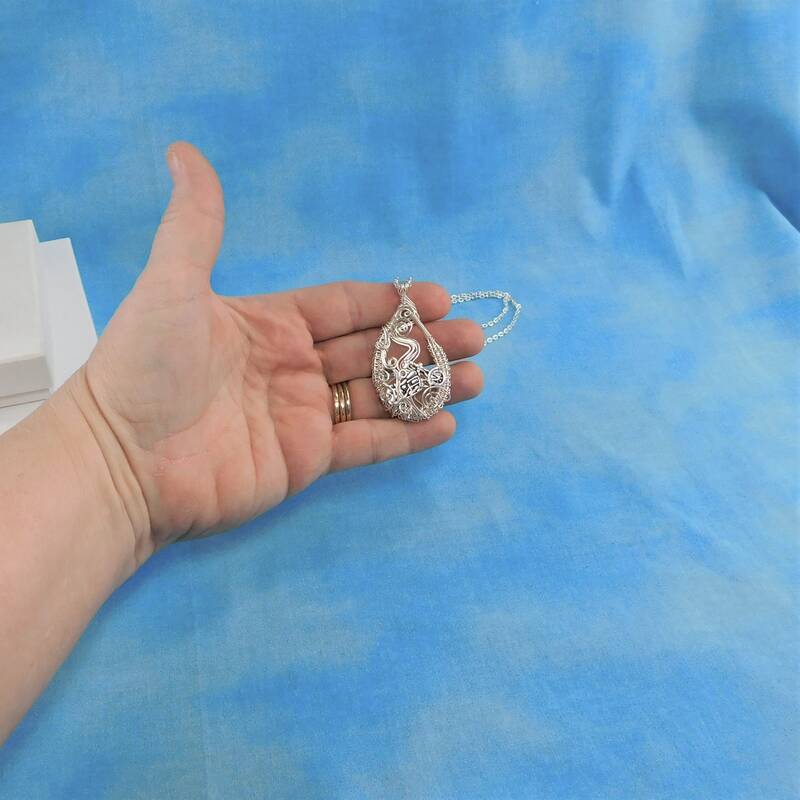 The pendant measures 2 inch by 1 inch and comes with a FREE coordinating chain with lobster claw clasp, measured to your preferred length.